Your equipment serves you well. It works as hard as you do, or possibly harder. But, even with top maintenance, it will inevitably reach a point in its life where it needs more than basic service. Instead of setting it aside, your equipment can have a new life with a remanufactured Perkins engine. Perkins Pacific maintains a large inventory of engine cores ready to be remanufactured for your application, mostly of Perkins engines, but we can also assist with a few other brands, when requested. 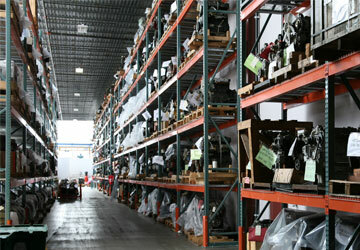 By maintaining a large core inventory, we offer better choice and quality for our customers. Our remanufacturing process is backed by decades of experience and fine tuning. We follow a six-step process to provide reman engines at up to 50% cost savings over new engines, complete with a one-year warranty, reliability and technology you can trust. Because our production capacity allows us to reman up to 10,000 engines each year, and because we have such a large inventory of engines, we can ship stock engines immediately, and non-stock engines typically within 72 hours. This means your down time decreases, and your equipment can more quickly be revived and put back into revenue-making production.